Goals are set, now is the time to develop the operational plan. When doing this we must recognize the limitations of intuition. 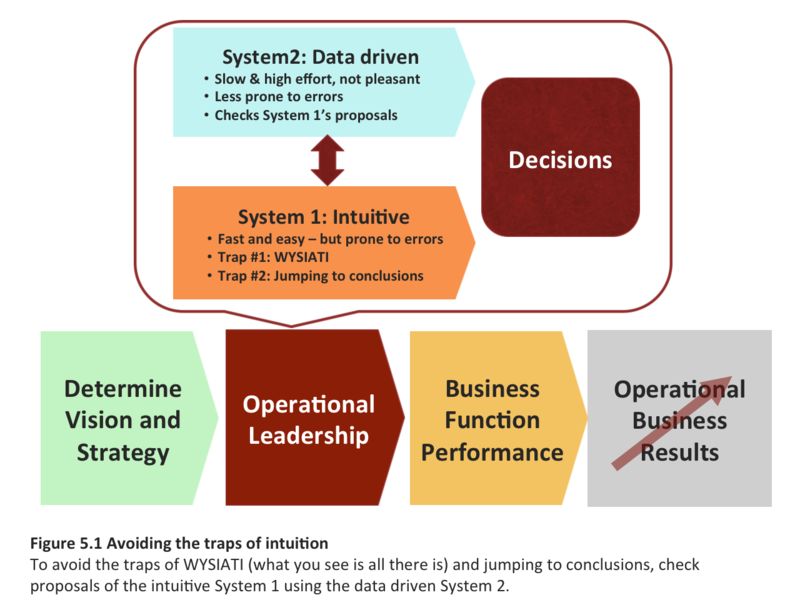 A recent book by Daniel Kahnemann shows that two traps of intuition are especially dangerous for operational planning: WYSIATI (what you see is all there is), which makes us overlook essential elements and JUMPING TO CONCLUSIONS, which leads us to making wrong assumptions about the causal connections between elements of our operational plans. This chapter discusses these two traps in detail, and how to avoid them when designing operational plans. Kahneman, Daniel: Thinking, fast and slow. McMillan, 2011.